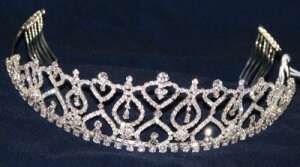 Short or long hair, worn upswept or down, the wedding tiara is the crowning glory for today s bride. Kaye Dunne, of Tiaras & Crowns in Portland, offers her own tips to brides: When you re choosing your tiara bear in mind that it should suit the shape of your face, your wedding hairstyle and the style of your gown. Diamante tiaras go with any colour of gown, while tiaras with pearls should match either your jewellery or your gown. 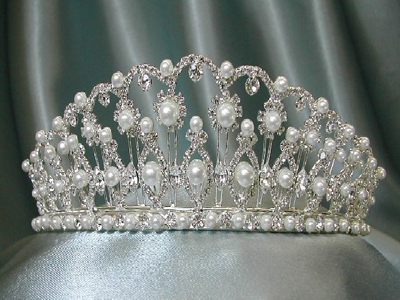 If you have a round face, choose a tiara that has height or a peak. It will make your face appear longer & thinner.